We design and manufacture high quality Industrial Monitors for most industries, including but not limited to Machine Tool Controller, Process Con troller, Shop Floor Control, Medical Equipment, Instrumentation, Point of Sale Terminal, Mobile Data Communication, Banking and Gaming Industries. 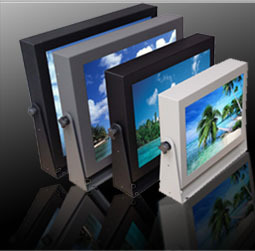 Our main focus of the 21st century is custom fit industrial LCD Monitors of all types. 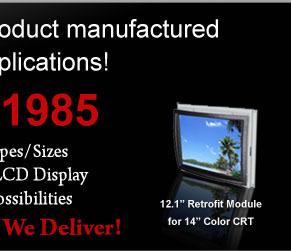 Open frame Industrial LCD Monitors, Rack mount Industrial LCD Monitors, Panel Mount Industrial LCDs Monitors, Metal Encased Industrial LCD Monitors with multiple mounting options. 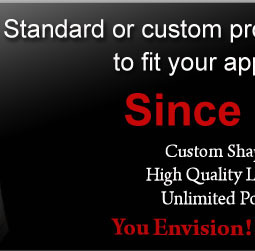 We will work diligently to come up with a solution for your application.